An adult haven of privacy and relaxation for couples and singles has been created at Meridian Port Douglas. The property comprises of a selection of stylish self-catered Studio Rooms and one bedroom Apartments. All 33 apartments feature plasma TVs with satellite channels, WiFi and DVD players. The kitchenettes come with refrigerators and microwaves, making in-room dining convenient. Additionally, coffee/tea makers, ceiling fans, and safes are available. 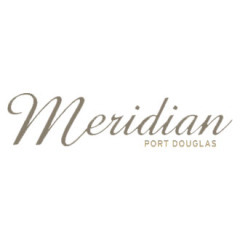 The Meridian is centrally located in Port Douglas just 200 metres from Four Mile Beach, 150 metres from Macrossan Street and 400 metres from the Port Douglas Marina.